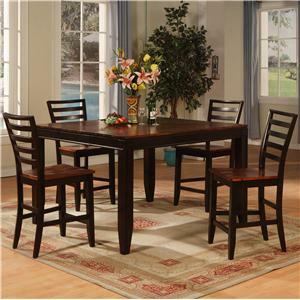 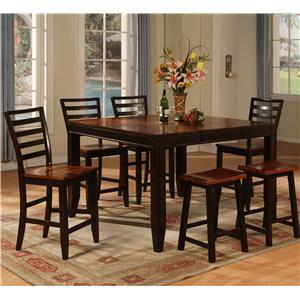 This cute contemporary pub set includes a small pub table, and two bar stools. 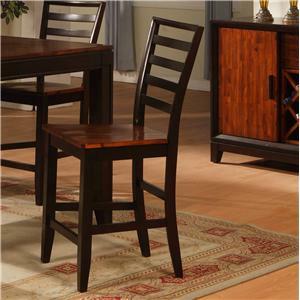 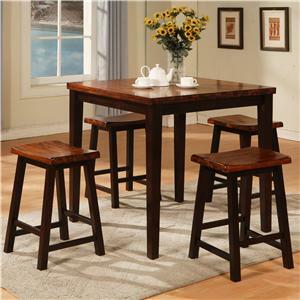 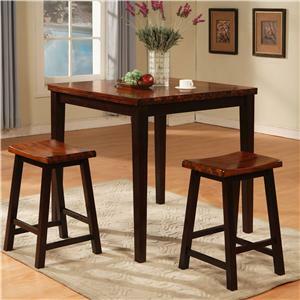 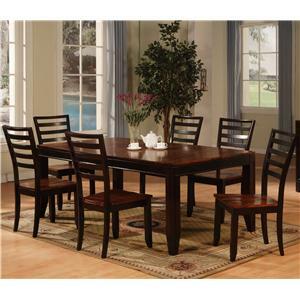 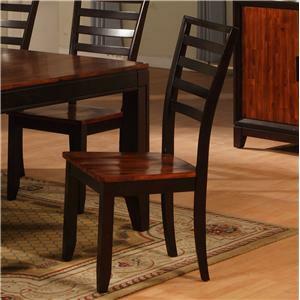 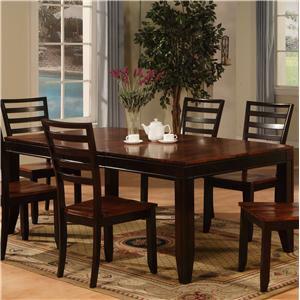 The square high legs on the table contrast beautifully with the warm medium acacia wood top. 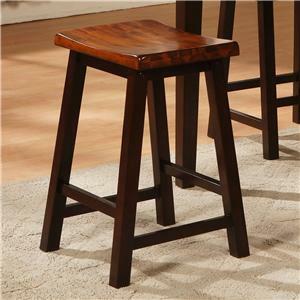 Simple bar stools have an Asian influence, with dark square legs and a warm contoured wood seat. 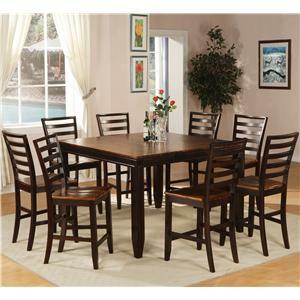 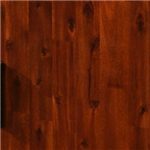 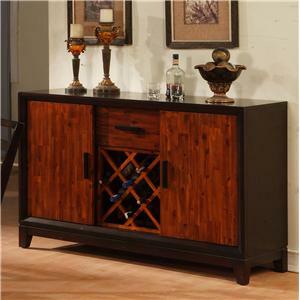 This set will blend well with your home decor and help you create an inviting entertainment space. 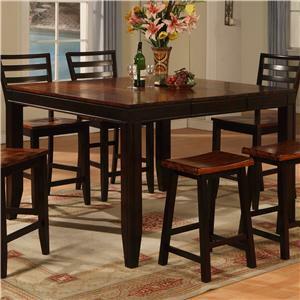 The Adaptable Dining 3 Piece Pub Set by Holland House is available in the area from FMG - Local Home Furnishing.